By CandidCupcake on June 25th, 2012 . Filed under: Cupcake Ideas . Are you looking for a way to stay cool this 4th of July? These cupcakes might not actually be cold, but they would be a great addition to your holiday festivities. 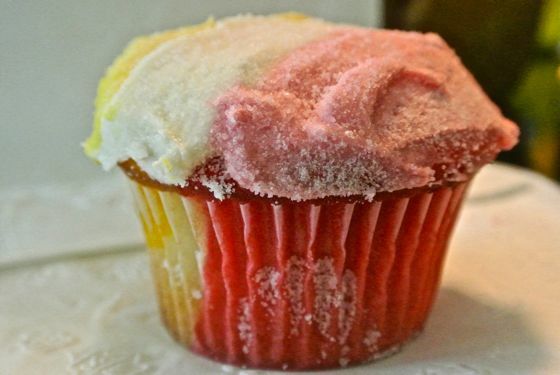 The recipe uses three colors of cake batter and frosting, and sugar crystals give the snow cone cupcake its “icy” appearance.